There are a handful of reasons why I like this antique cameo. Of course, I appreciate the expert carving; that’s one. And then there’s the fact that it shows Petrarch, and I am named Laura. And then there’s the setting. The pearls are NOT precisely at 3, 6, 9, and 12 o’clock the way you first assume they are. 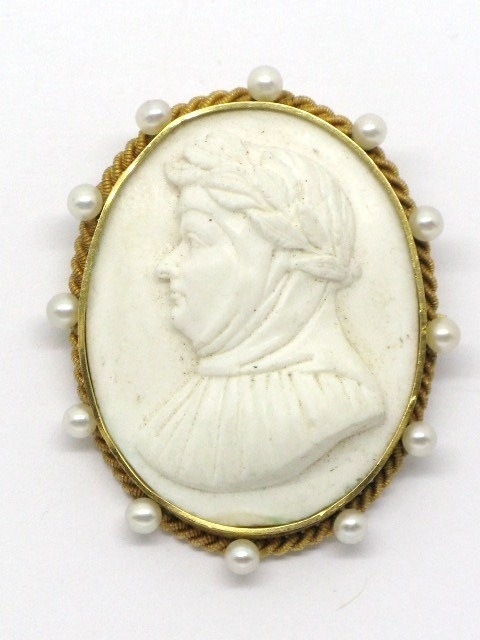 Draw an imaginary straight line across the face of the cameo, from one pearl to the other sitting opposite it. You’ll find that the line isn’t perfectly straight; it’s a little angled. And so, a design element that could be static and stable adds movement instead. The pearls seem to slowly dance around the setting. And it’s so subtle! Most people might assume that the pearls line up neatly in pairs and would never notice (except maybe subconsciously) that there’s another kind or balance and rhythm at play here. 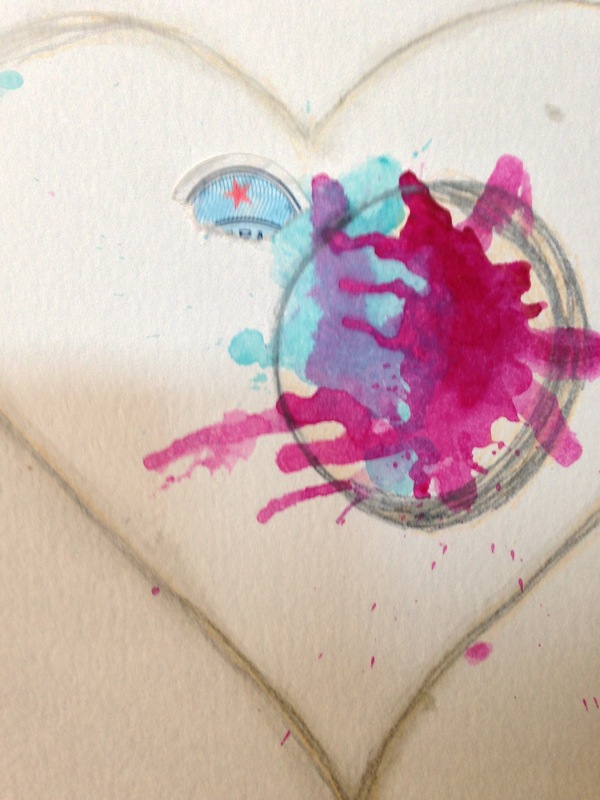 This entry was posted in Art & Recovery, Current Works in Progress. Bookmark the permalink.